A great deal is already known about William and George and has already been disseminated to their descendants through the family periodical, Through the Halls of History, published 1973-1988. In 1993 and again in 2001 a book to be known by the same name as the periodical was proposed. See the article on the William Halls Family Organization for details on where this publishing project now stands. Since Alex Haley’s Roots appeared as a book in 1976 and as a television mini-series in 1977, there has been a tremendous upsurge in interest in family history and ancestry. The Internet in no small degree has been instrumental in expanding this interest until today if one uses any key term relating to genealogy or family history in an e-mail or online search, the next screen will include links to various resources and professional services for tapping into this interest. The current TV series Who Do You Think You Are? combines the public’s interest in ancestry with the specific family stories of celebrities. But Mormons like William and George Halls were way ahead of the game over a century ago! In 1894 the Genealogical Society of Utah was founded to facilitate LDS Church members’ genealogical research. The one-room library of that day has since become the world’s largest genealogical library. Although the GSU name is still in use for some purposes, the term genealogy has been replaced by family history, and the Mormons’ FamilySearch.org is the most popular genealogical site in the world. Its Family History Library in Salt Lake City is second-to-none and is a mecca for genealogists and family historians from over the world due to its unparalleled collections of microfilmed — and more and more, digitized — records from many countries. A complete history of the GSU/FHL is available here. But no longer is it necessary to travel to Salt Lake City, since the Family History Library has nearly 5000 branches or Family History Centers throughout the world (mostly housed in LDS Church meeting houses and stake centers). Visualize, if you can, William Halls, during his visits in Salt Lake City, Utah from Mancos, Colorado during certain years to attend General Conferences of his church, using that tiny library of the time and copying out names as he found them. With financial help from his sons, he also wrote to parishes in England where his parents and grandparents had lived. In his 1911 book and in his 1917 autobiography William admonishes his descendants to carry on his work. William died in 1920 at the age of 86. In 1949, two of his sons and one of their nephews representnig his father wrote in a letter to “Dear Relatives… we of Father’s first family, who are still living, tho[ugh] it is pitifully late, are working at it and trying to heed [their father's admonition] and carry it out. But it is a big job and we need help.” The letter goes on to detail what work had been done by their father and certain descendants to the present. They appealed to their brothers in the “second family”. Read their exchange of letters. The result? The William Halls Family Organization. But this site is also about and for anyone interested in the surname HALLS (containing a final -s), an uncommon English name, not just the descendants of William and George Halls. There is information on hundreds of historical Halls families for about 1/3 of Essex already in the WHFO archives. Information is now solicited for Halls families of Suffolk, Norfolk, Cambridgeshire, and Devon/Cornwall and will be added as it becomes available. In the 45 years I have been genealogist for the family organization, I have been in contact with dozens of descendants of other Essex Halls families, including those of William Halls and Susan Hicks Halls, William and George’s grandparents, who married in Laindon, Essex in 1793. It’s time for all these Halls to join hands and minds (and even hearts) to get out the Halls story for posterity. Whereas the name Hall (without a final –s) is one of the most common of English surnames and is present in most parts of England and the English-speaking world, the name Halls is centered on the English counties of Essex, Suffolk, Norfolk, and Cambridge. (There is a much smaller, unrelated pocket of the name in the counties of Devon and Cornwall – these Halls too are welcome to this site.) 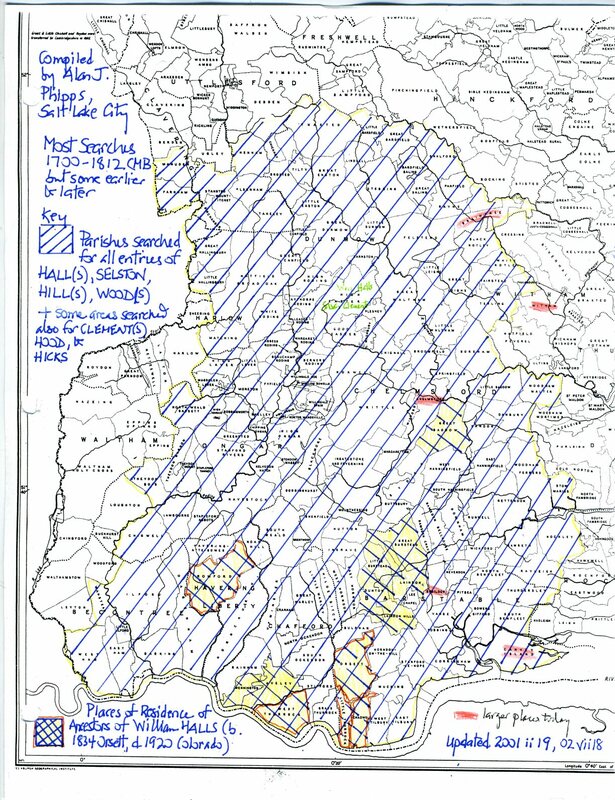 In searching records in areas inhabited by Halls, Hall is considered a variant of the name and is copied. Hall is not copied in areas where Halls families never resided. Two of the sons of William Halls, Mosiah (b 1862) and George Henry (b 1867) dropped the -s from their surnames in adulthood. So did their brother John (b 1872) for a time, but he changed it back to Halls when he was mixed up with another John Hall. Thus there are descendants of William Halls who spell their surnames both ways, although those using Halls are far more numerous. The inspiration for this site and all the research which led to the data (to be) contained on this site, is the life and work of William Halls (1834-1920), his brother George Halls (1846-1917), their ancestors of Essex, England, and descendants wherever they are found. As a young boy, I found my mother’s copy of her grandfather’s Select Writings, and I was fascinated by his “autobiographical sketch”. 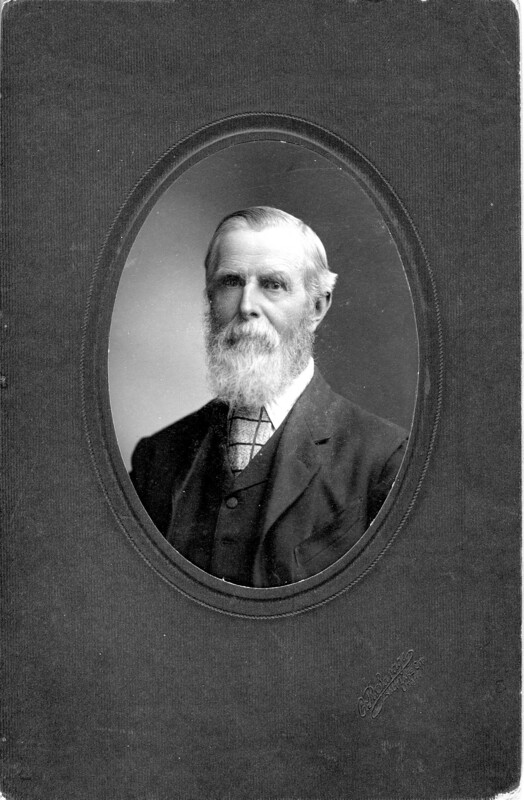 William Halls, born in Orsett, Essex on 25 May 1834, may possibly have more descendants than any other person surnamed Halls born in the 19th century. He was the husband of three wives, father of 19 children, grandfather of 88, great-grandfather of 251, etc., and by 2001 was estimated to have 2500 descendants, with many more descendants born in the last decade. Born in poverty to an illiterate Essex farm laborer, William learned to read and write with the help of his mother, whose father served as parish clerk of West Thurrock, Essex 1811-1846. William bought books and studied to improve his mind. Although he never attended school himself, he taught school in northern Utah over a decade and later was director of town schools in Mancos, Colorado, where he also filled two terms as superintendent of county schools. William was a convert to the Church of Jesus Christ of Latter-day Saints (the Mormons) in 1851, served as a missionary in England 1854-1861, and emigrated to America in 1861 shortly after marrying Louisa Carritt Enderby. They crossed the then United States by train and the American plains and Rocky Mountains on foot and by wagon (William was ill part of the journey), arriving in Salt Lake City on September 15, 1861. After a brief period recuperating from mountain fever in Salt Lake City, William taught school in Kaysville, Utah, where his first child, Mosiah, was born in 1862. Later that year, the little family moved to Huntsville, Utah, east of Ogden, where they were some of the earliest settlers. 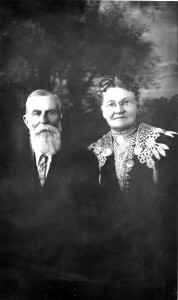 He married Johanne Marie Frandsen in 1871 and Eleanor Howard in 1880, according to the 19th-century Mormon practice of polygamy. Over William Halls’ long life he engaged in teaching school, farming, stock-raising, and dairying, while serving in various unpaid positions in his church and in the local community, including as secretary of a local dairy cooperative and postmaster in Huntsville. He enjoyed acting and debating. In 1885 he left Huntsville with Bishop Hammond and other polygamists to escape arrest by federal marshals, then in the Territory of Utah, for violating the U.S. laws against polygamy. They settled in the remote community of Bluff in southeastern Utah, moving the following year to Mancos, Colorado after spring floods destroyed their irrigation projects. 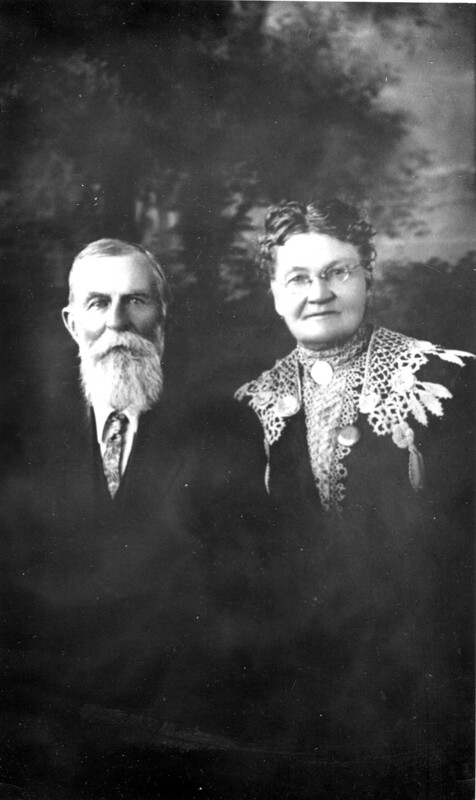 William, with his second wife, Johanne or Hannah, their 12 children, and 2 sons from the first wife (William and Thomas), established the community of Webber next to Mancos with other Mormon settlers. William’s brother George also settled in Webber. Their mother had died in Huntsville in 1880. William’s first wife, Louisa, remained in Huntsville, where she died in 1911. The third wife, Eleanor, died in giving birth to her second child in 1884; her surviving child was raised by Louisa. William wrote numerous articles and poems, some published in periodicals and later collected and published in 1911 in his Select Writings, which included an autobiographical sketch. His fuller autobiography was written in 1917, distributed privately over the years, and published in the family periodical, Through the Halls of History, in 1973. George Halls, born 1846 in Orsett, was baptized as a child into the Mormon faith in 1855, the last of William’s entire family to follow his lead. After the death of his father in 1861, he emigrated with his mother and joined William in Huntsville in 1862. George married Moiselle Hammond in 1876; they adopted two children in 1890 and 1897 while in Mancos. Their daughter Harriott Stephens has a large progeny. George was a school teacher, dairy farmer, and for 24 years bishop of the Mancos Mormon congregation, beloved by his people. Like William, he also served in town and county educational roles. George’s biography was published in TTHOH in 1974. The ancestry of brothers William and George has been traced presently back to the early 1700s. It is proposed that the long-planned book Through the Halls of History contain both this ancestry and also record of their descendants for the first 150 years in America (1861-2011). It will also contain information on other Halls families who lived in Essex, England, as contained in the records of the William Halls Family Organization. This website, however, is open to all families of Halls, regardless of origin. Anyone surnamed Halls or descended from any Halls is invited to share stories, records of ancestors, and the names of progeny. Personal details of living persons will not be disclosed, but if their names alone are cited and connections to the documented pedigrees given, this website and its publications will be portals for future generations of Halls to connect with all the contributed work. Please click on the subjects in the menu on the right at the top of the page for further information. To make a comment or inquiry, follow the link to Alan’s professional website below, where you will find address, telephone number, and e-mail link on most pages; the “comments” feature of this WordPress site will be set up soon. Alan J. Phipps is the son of Pearl Halls Phipps (1906-1956), grandson of William Halls Jr. (1863-1939), and great-grandson of William Halls (1834-1920) and Louisa Carritt Enderby Halls (1840-1911). He has been the genealogist for the William Halls Family Organization since 1966.